Built just after the end of War World I, The Pierre Condominium Association building was originally known as the Parkway Hotel. It can be seen on postcards of the day depicted as one of three luxury residential hotels on two blocks on the west side of Lincoln Park. It was an opportunity for upper income Chicagoans to live in a property that would cater to their every whim while avoiding the hassle, costs and taxes associated with owning a own large home and the staff that would be necessary to keep it. Amenities at the time included a ballroom, a restaurant, and even a speakeasy. In the 21st Century the Pierre Condominium seeks to maintain an atmosphere of comfortable elegance, offering upscale amenities such as an attended door, valet parking, a rooftop swimming pool, a workout room and an area where residents can host social events. 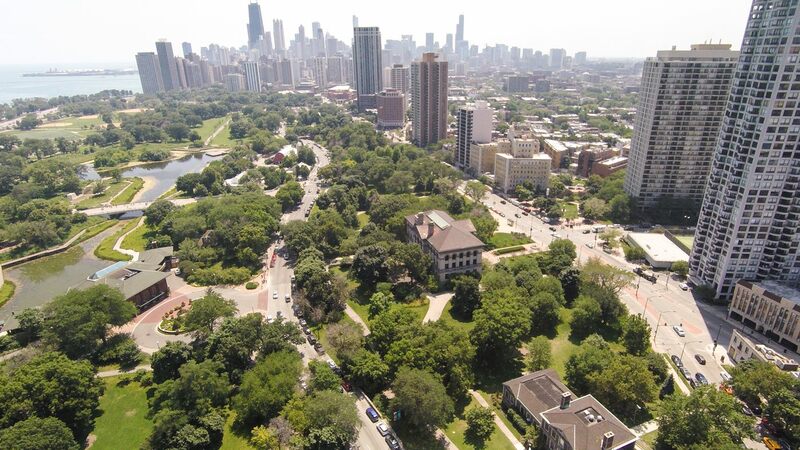 Owners continue to enjoy the beauty, convenience, and property-value security of living across the street from Chicago’s Lincoln Park Zoo, formal gardens and Conservatory. 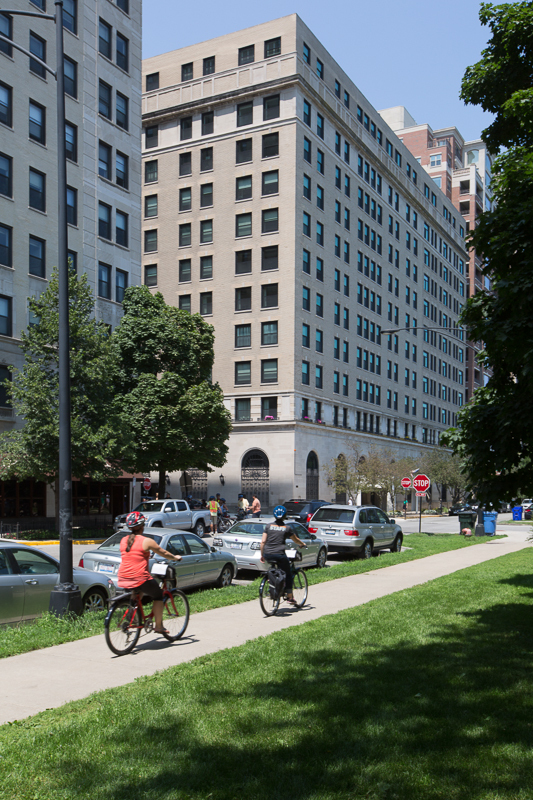 The Pierre is a comfortable stroll from the beach, with walking and biking paths along Lake Michigan. Many restaurants and taverns are located within easy walking distance. Four CTA bus routes stop within one block for easy and quick access to the Loop and the Magnificent Mile. The Association comprises 102 residential units, some of which have been combined to form larger units. The Association also owns two units that are rented, with income contributing to the Association’s overall expenses. Six duplex units on the west side of the third floor have access to a “terrace” area that serves as the roof for a part of the building below. A parking garage in the building, owned by the Association, is managed by SP+ with spaces rented by owners and, as available, by non-owners. Parking fees are set annually by the Board to keep the garage operating on approximately a break-even basis. First Service Residential provides professional management services, with the active participation of a five-member Board of Directors that determines policies and priorities pursuant to the Illinois Condominium Property Act and the Association’s By-Laws. Three Board members are elected in odd-numbered years and two members are elected in even-numbered years, serving two-year terms. Important window replacement, roofing, tuck-pointing, life safety, and other infrastructure projects have been completed under Board and management direction in the period 2011-2016. A new front canopy with improved lighting, heating, and security cameras was added to the building in the summer of 2016. Residential hallways are being redecorated in early 2017.